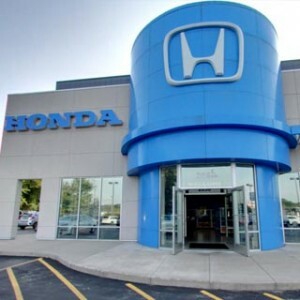 As noted by critics at Edmunds.com: “Honda could have sent its engineers on a yearlong vacation to Tahiti rather than task them with updating the 2019 Civic.” It’s a vehicle already years ahead of the competition, and yet the Honda team has chosen to upgrade Honda Civic Sedan safety even further to ensure the cutting edge of protection stays sharper than ever. 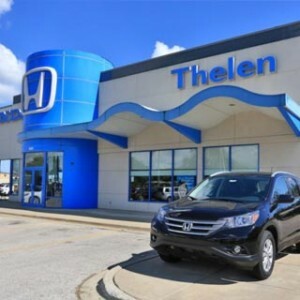 From active safety features to prevent collisions to passive safety features designed to prevent harm in the unlikely event of an accident, you’ll feel perfectly confident. Better yet, all trims now boast additional Honda Sensing driver assistance features. 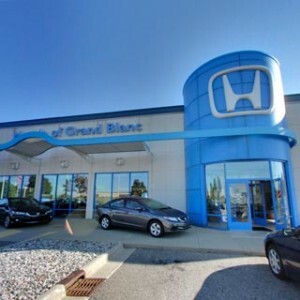 You might notice that the Honda Civic Sedan feels like it’s working with you to improve performance and safeguard control, and that’s exactly what’s happening. The vehicle calls on a suite of active safety features engineered to help maintain control and prevent accidents from happening. Vehicle Stability Assist™ (VSA®) with Traction Control: Stabilizes the vehicle through corners and maintains traction across loose or slippery surfaces by regulating engine output and selectively applying the brakes. Electronic Brake Distribution (EBD): Automatically distributes braking power between all four wheels based on road conditions, vehicle speed, and more. Brake Assist: When you slam on the brakes, your Honda Civic Sedan will respond to the emergency braking situation by applying additional force. Tire Pressure Monitoring System (TPMS): Having too much or too little air in your tires increases the chances of a blowout and decreases responsiveness. An in-built monitoring system helps you keep tabs. LED Daytime Running Lights (DRL): Low-level lighting enhances your visibility to other road users. Multi-Angle RearviewCamera: Cycle between Normal, Wide, and Top-down viewing modes for safer and more convenient reversing. 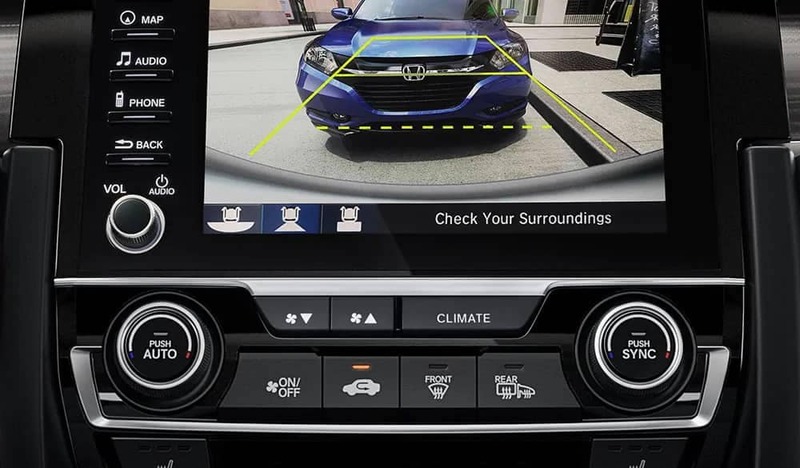 Honda Sensing technology pushes the Honda Civic Sedan to safest sedan status by augmenting your awareness, warning you of danger, and even stepping in independently to help prevent accidents. Forward Collision Warning (FCW): Scans the area ahead for potential collisions and provides an alert when one is sensed, giving you time to break or change your course. 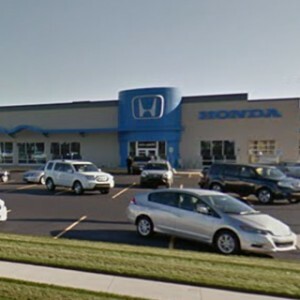 Collision Mitigation Braking System™ (CMBS™): When you fail to react, the Honda Civic Sedan will apply braking force to avoid an impact or reduce its severity. Lane Departure Warning (LDW): A front-facing camera reads your position on the road and provides an alert when you deviate from your chosen lane without signaling. Lane Keeping Assist System (LKAS): Continue changing lanes without signaling after the Lane Departure Warning has sounded and corrective steering pressure will bring you back to center. 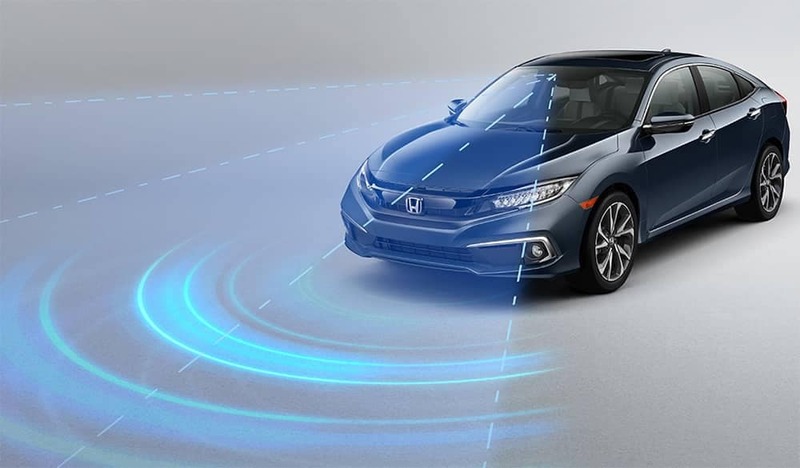 Road Departure Mitigation System (RDM): The Honda Civic Sedan can read common road markers and provide corrective steering pressure when you start to cross them. Adaptive Cruise Control (ACC) with Low-Speed Follow: Radar technology is utilized to adjust your cruising speed according to your distance from the vehicle ahead and leave a healthy gap. Auto High-Beam Headlights: Your high-beams toggle on and off as vehicles approach and pass at night to ensure full forward visibility without blinding other road users. 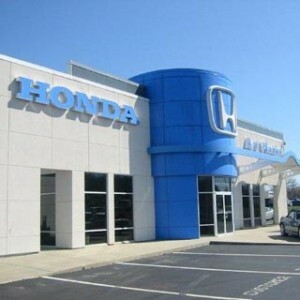 Honda Civic Sedan models are also available with a Honda LaneWatch™ feature. When you signal to change lanes, a video feed will play from beneath the side mirror to provide a complete view of what’s in your blind spot. 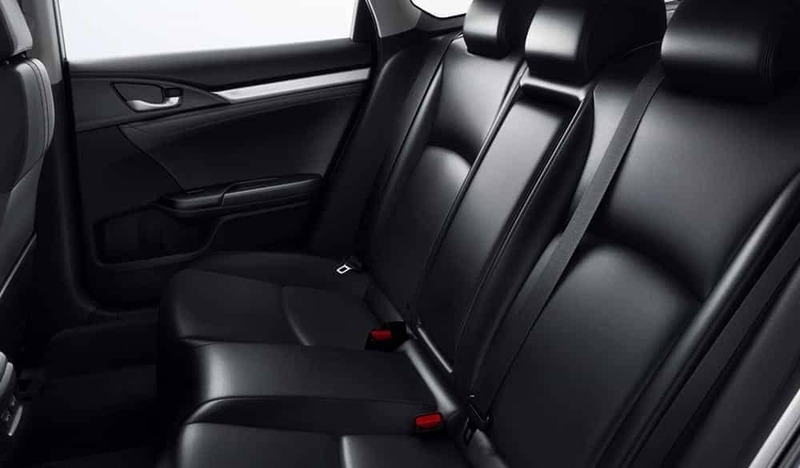 If you’d like to try out some of these safety features for yourself while enjoying the Honda Civic Sedan’s keen, responsive driving behavior, simply visit your nearest Mid-Michigan Honda dealer. To find out more about special offers, feel free to contact us today.